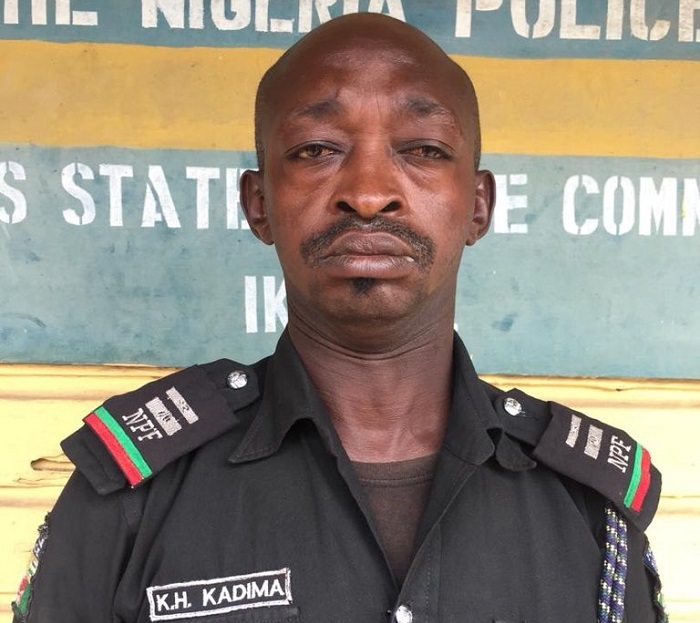 Inspector Kadima Useni, an officer caught on camera while drunk, has been dismissed from the Nigeria Police Force. According to the Force, he was dismissed for “conducts unbecoming of a law enforcement officer”. A video of him drunk at Akowonjo Area of Lagos State went viral on social media on Wednesday. Useni served at the Police Mobile Force Squadron Base 22 Ikeja before he was dismissed. News of his dismissal was disclosed via a tweet by the Rapid Response Squad that read: “A drunken police man who was caught on an online viral video has been dismissed by Inspector General of Police, IGP Idris Ibrahim, for conducts unbecoming of a law enforcement officer. Inspector Kadima Useni who got drunk at Akowonjo Area of Lagos served at Police Mobile Force Squadron Base 22 Ikeja before his dismissal which would serve as a deterrent to others”. Inspector Kadima Useni who got drunk at Akowonjo Area of Lagos served at Police Mobile Force Squadron Base 22 Ikeja before his dismissal which would serve as a deterrent to others.